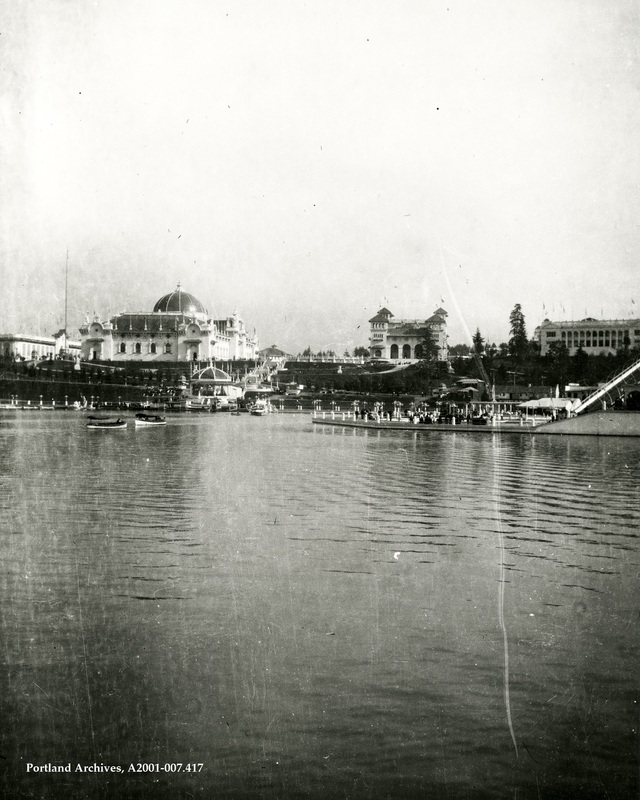 Guilds Lake and pavilions during Lewis and Clark Centennial Exposition, 1905. City of Portland (OR) Archives, A2001-007.417. What a waste of perfectly good industrial area! Well done Brian. My sentiments exactly. I have a few souvenirs of my digging in the fill that was in the old Guilds Lake bed. Things that were potentially from the Lewis and Clark Expo. There are many in Portland and other places who have much more info than I do about the Expo. Carol: What do you have? I’m curious. The Guilds Lake area was originally a low lying wetland/swamp. Before the settlement of the area a lot of what became Portland along rivers were low lying wetlands-swamps or marshlands. And think of the hundreds of creeks and streams that disappeared that used to be there. Greg. Yep, Balch Creek was one of the biggest. In 1920, starting at the Thurman Street Bridge, the creek was run into a big pipe and coursed underground where it joined the storm water system. It then dumps into the Willamette near the fire station on NW Front Ave. Sad way for such a beautiful creek to end up. They say a small population of coastal cutthroat trout still inhabit Balch Creek. The whole river was a gigantic wetland. They had to found Portland at what became W Burnside because that was the only dry place for miles.